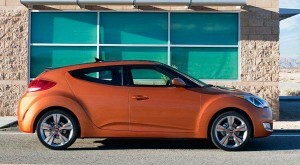 The Veloster is coming! Not the dinosaur you'd imagine but instead Hyundai's new segment busting vehicle. 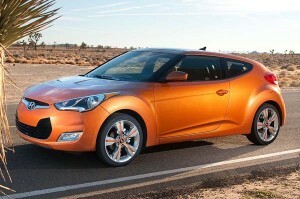 will have a manufacturer's suggested retail price starting at $18,999. a 7-inch touch screen display as standard equipment. interplay of wind with rigid surfaces to create the illusion of constant motion. L/100km - surpassing the Honda CR-Z Hybrid. 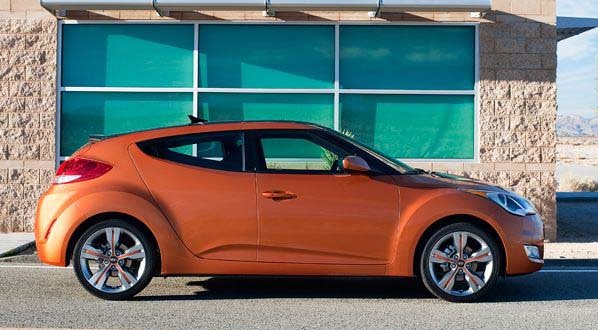 6-speed EcoShift Dual Clutch Transmission can be added for $1,400. pedals and automatic light control. include ABS, electronic brake-force distribution and brake assist. handle is hidden in the C-pillar.